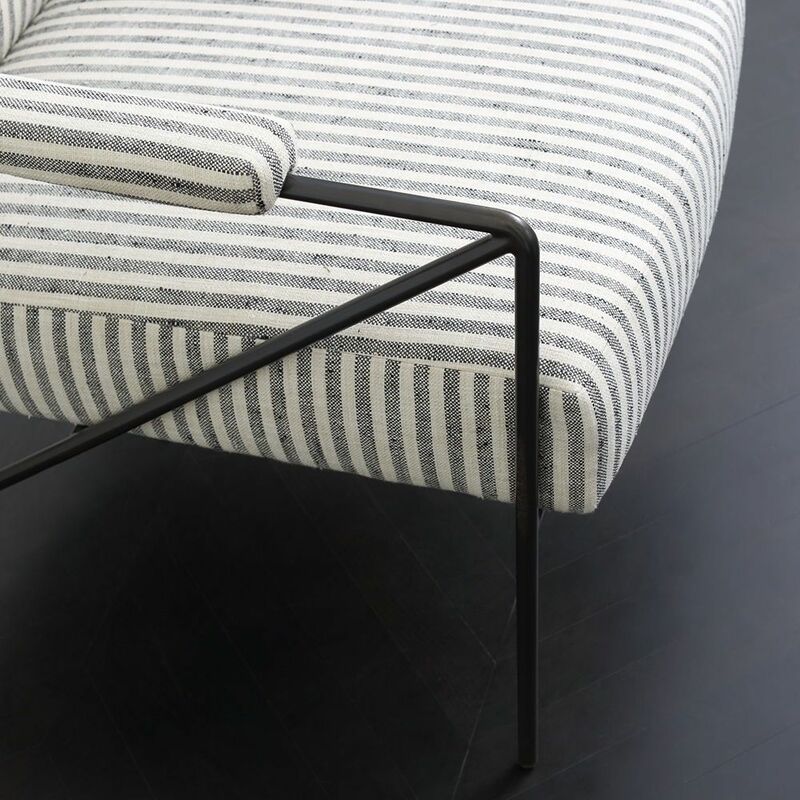 This casual yet elegant lounge chair features a linear frame of cold-rolled stainless steel set on hair pin rear legs. More details below. 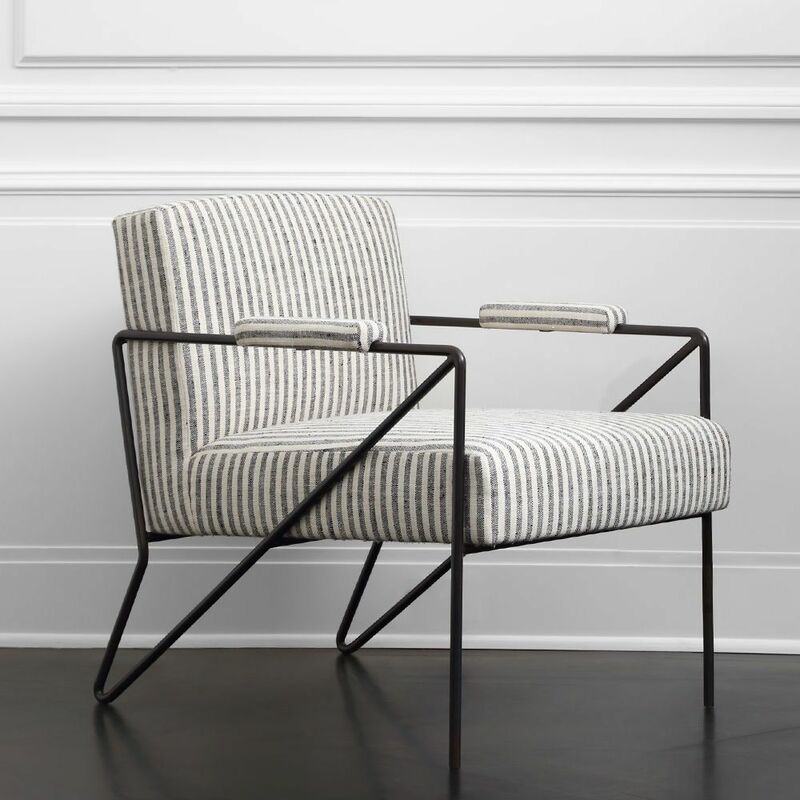 This casual yet elegant lounge chair features a linear frame of cold-rolled stainless steel set on hair pin rear legs. 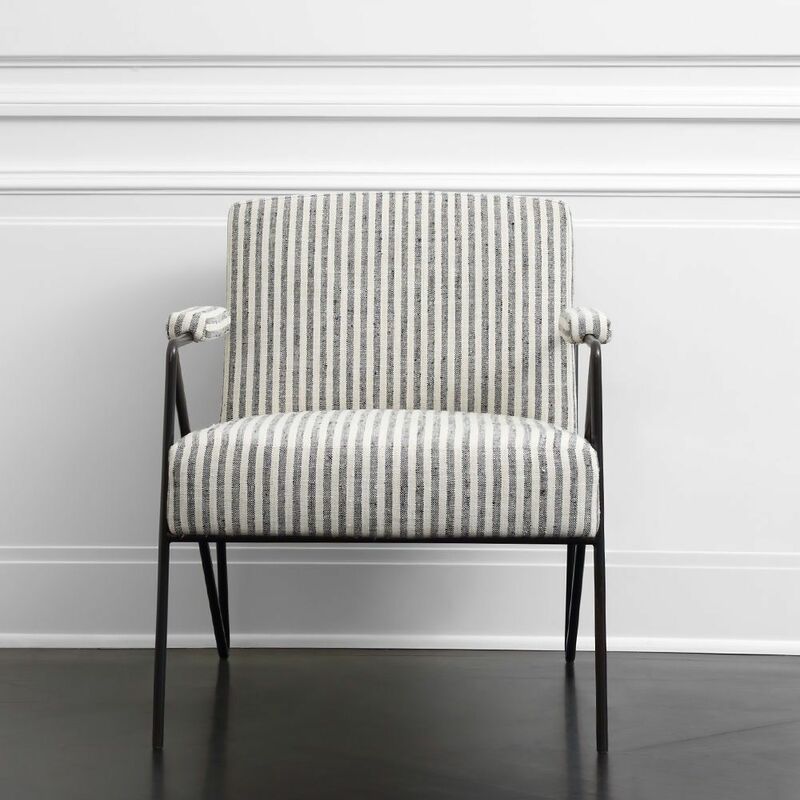 The seat and back, in supple shearling, offer a relaxed upright seating position making this a perfect occasional or library chair. Also available in Charcoal shearling. Front and rear legs have poly glides to protect flooring. COM: 5.5 yds per chair COL: 45 sq ft.